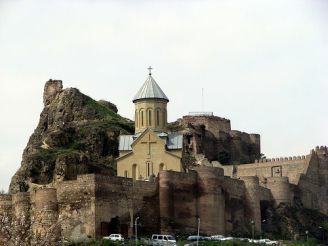 Narikala Fortress — all information. 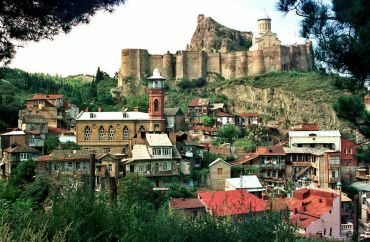 Narikala Fortress, Tbilisi: photos, description, on the map. 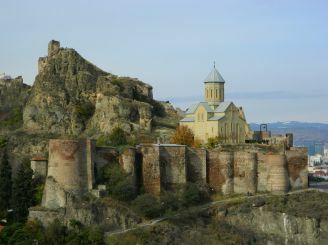 For more than fifteen hundred years dominates the capital of Georgia Tbilisi ancient fortress Narikala, founded approximately in the 4th century. 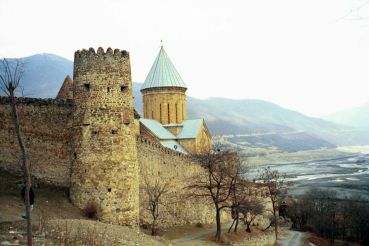 Is a fortress on Sololakskom ridge, which is part of Mount Mtatsminda. With the growth of the city, also to expand and strengthen the castle. Favorable location and strong appreciation made it impregnable to enemies. In addition to defensive structures, there are also religious buildings were erected and. 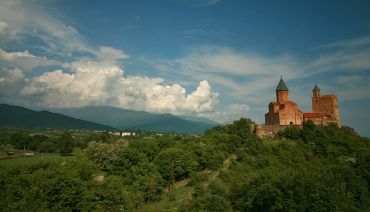 One of these is the church of St. Nicholas, found during excavations and recreated. Severely damaged the fortress after the earthquake in 1827, after which the reconstruction work no one did. 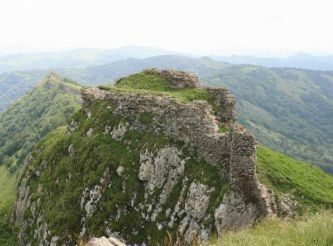 But even that is left of the once mighty citadel, makes a strong impression. Nariqala harmony with the architecture of the city. 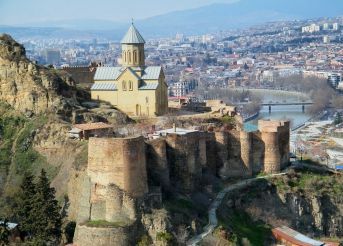 Panoramic view from the walls of the fortress is an indescribable joy, here at a glance you can see all the famous sights of Tbilisi. Climb up the hill to explore the fortress better with the new cable car. 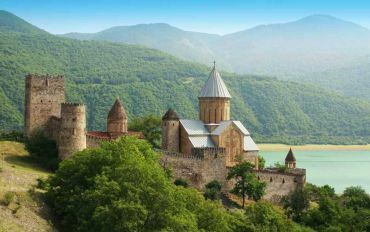 You can make a foot ascent that will enable closer feel the spirit of old Tbilisi.